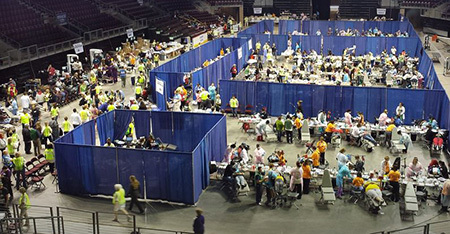 The New Mexico Mission of Mercy holds the state’s largest charitable event—a free, two day dental clinic—which provides dental care to those who otherwise could not afford it. It has been Dr. Kerschen and our team’s honor to support the NM MOM since the program started in October of 2010. The MOM occurs once every 18 months and has moved throughout the state. Last year Dr. Kerschen and our team traveled to Santa Fe for the clinic. Dr. K, Denise, and Lisa volunteered in the oral surgery department, Tasha in anesthesia, and Emily in hygiene department. During the two-day event, typically more than one million dollars’ worth of dental care is donated. 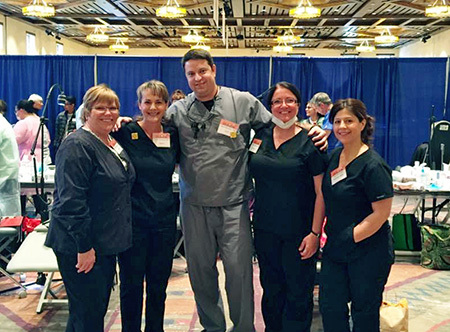 Through five events, the NM MOM has donated more than 4.9 million dollars of dental treatments to 6,900 patients! NM MOM is great event for the entire dental community. From September 22-23, 2017, the MOM returns to Albuquerque. Dr. Kerschen and our team look forward to volunteering again in 2017!